LED Smart lighting maker LIFX is the first out of the gate with HomeKit enabling firmware updates to coincide with the release of iOS11. LIFX already has the smart home platform space pretty well covered, with support for Google Assistant and Alexa voice control, and integration with IFTTT and SmartThings, along with some remote controls from Logitech. HomeKit support was lagging, in no small part due to Apple's stringent security requirements demanding the use of custom hardware components. At this year's WWDC, Apple announced changes to the certification requirements, most notably dropping the hardware requirement and allowing the required security features to be handled in firmware. As a result, a number of device makers that had eschewed HomeKit support announced pending firmware updates to bring them into the platform, including the likes of LIFX and Wemo. The addition of LIFX bulbs adds a new range of capable smart lights where the only comprehensive lighting solution was previously Philips' Hue range (there is a small number of additional lighting offerings with HomeKit support available in the US, but with fairly limited offerings). Philips uses the ZigBee protocol to manage communication with the actual bulbs, and so needed a WiFi bridge to communicate with even their own Smartphone App. It was trivial to add the required Apple hardware to the bridge to provide complete support for their lighting products. 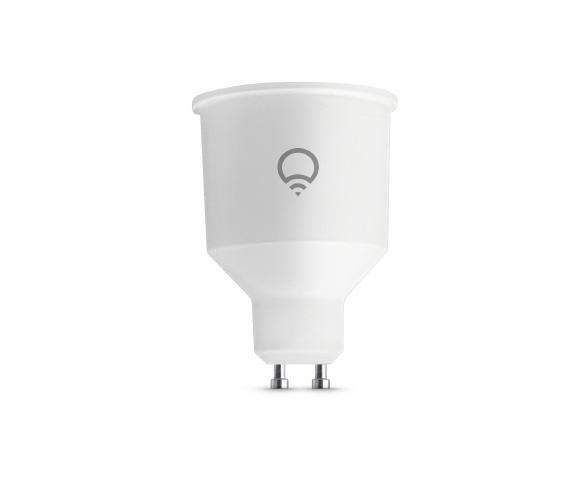 LIFX, on the other hand, opted for a simpler route by employing WiFi directly in each bulb. The need to add the custom hardware to each light was more prohibitive when it came to adding HomeKit support, until now. The base A19 bulb full color bulb, in both E27 edison screw and B22 bayonet cap. The A19 LIFX+, which includes full color and the unique feature of IR LEDs, in E27 Edison screw or B22 Bayonet cap. The BR30 LIFX+, also with the IR LEDs, in E26 Edison screw for outdoor use. The 100mm 12V down-light, in full color. The LIFX GU10 down-light bulb, also in full color. In order to enable HomeKit support for existing LIFX bulbs, you'll need to run a firmware update through the LIFX app, you'll then be able to generate a HomeKit code for pairing. The actual pairing can be done in the LIFX app, or later through the Home app with the provided code.